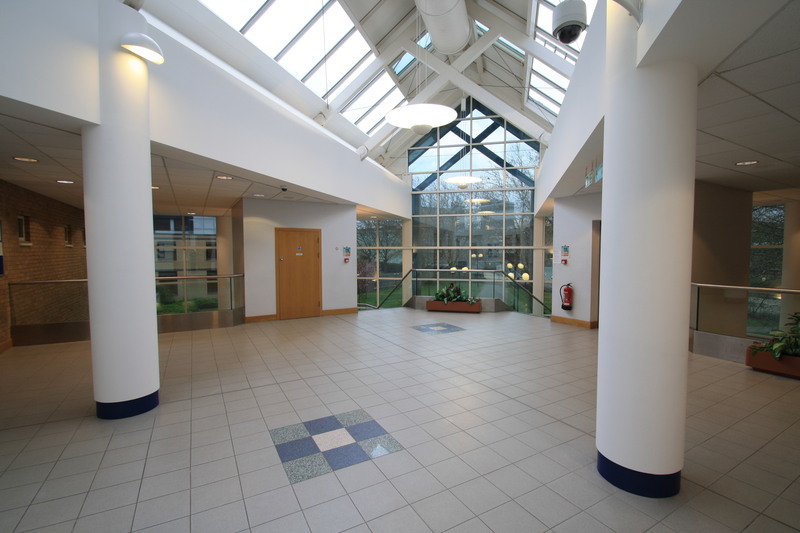 GS Decorating were contacted, as a leading commercial painting contractor covering Essex & London, to decorate the main chamber walkway at the Crown & County Court in Basildon. The court was opened in 1996 at the Gore, Basildon where it houses five criminal courtrooms and two Civil District Judge’s Chambers. This important area sees daily use, where attendees of the five courts will wait and use throughout the day. The scope for GSDecorating was to redecorate all walls, bulk heads and ceilings, while also cleaning all steal work in the glass windows that run around the building. This work was to be conducted, out of normal working hours to avoid disruption to the courts. The project also including the decorating of an area 10 meters high, where it was unsure that normal access methods such as a tower would work. After assessing the building and compiling a full risk and method statement for the work, GSDecoration recommended it was suitable to use a 10m single platform tower, that was to be erected by PASMA trained members of staff. Being a heavy traffic environment GSDecoration also recommend the use of Dulux Diamond Matt Emulsion as the paint specification. is a tough, washable matt emulsion paint made by Dulux, they claim it’s up to ten times the durability of silk emulsions. We use Diamond Matt on many projects such as this and find it to be a good quality product, fit for purpose in a building of this nature. It’s tough enough to withstand the everyday knocks found in public buildings and it’s also great for ongoing maintenance. As cleaners can use polish to get rid of mark that occur over time. 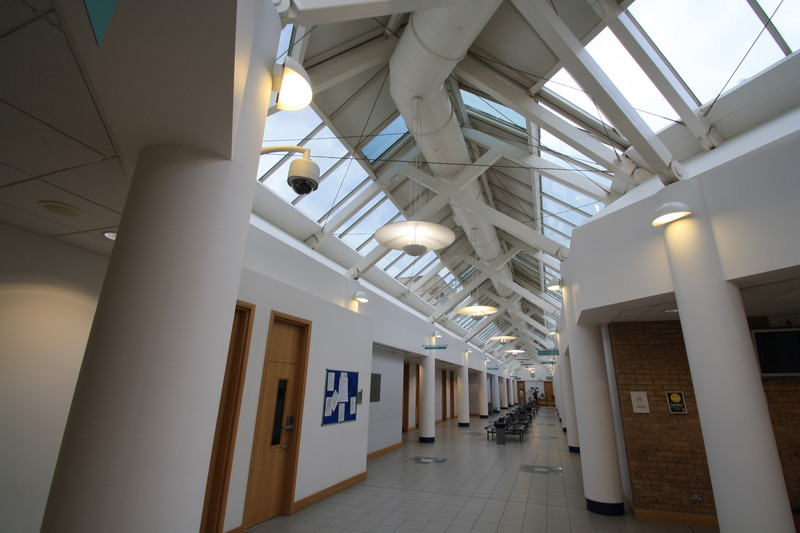 Within seven days GSDecoration had completed all cleaning and decorating required to a high standard, with minimal disruption to the buildings day-to-day operation. Towers and equipment needed to carry out the decorating works were erected and cleared away on a daily basis to remain out of site to the general public and Crown & County Court House staff. It was also imperative to keep the area clean and put all furniture back into position for the next day, again insuring the day-to-day operations of the building were maintained. GSDecoration are high quality painting and decorating contractors covering London and the Home Counties. We specialise in undertaking small to medium commercial projects, where clients require a high quality finish and service. To see more pictures of this project please take a look at our Facebook page. If you are looking for a commercial painting contractor please contact us today to discuss any requirements you may have. I’ve never been but it looks like a great job, thought these places are normally dark and wood panelling (maybe watched to much tv) but this place looks lovely and airy. Nice job Greg!